Hi Guys, is Jamie Oliver’s Spicy Olive Garlic & Tomato Pasta Sauce not salty enough for you? 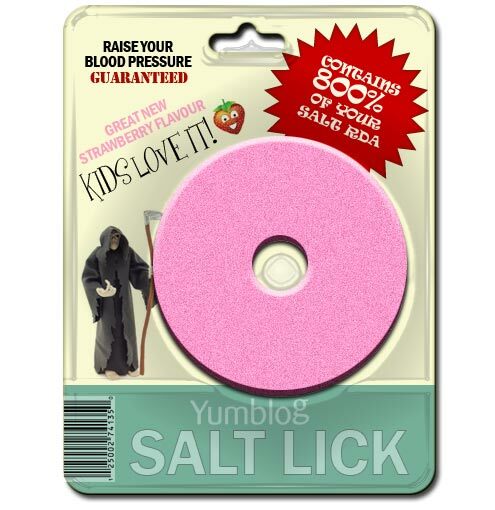 Why not try the Yumblog strawberry flavoured salt lick – It’s guaranteed to get your blood boiling! Only £12.99 from all good branches of Cost Cutter.